Net Brennan is one of those wonderful ‘quiet’ writers that you occasionally stumble across in Tasmania. Warm, funny and humble, she has no airs and gives no indication that she’s an internationally published author with more than 25 years experience writing and editing national publications. You have to delve deep into her website to find all that out. At the moment, when she’s not juggling family life with freelance feature writing, Net is focusing on writing educational but accessible books for children. Her 2015 publication Australian Federation: One People, One Destiny was named as a notable by the Children’s Book Council of Australia in their Book of the Year Awards. 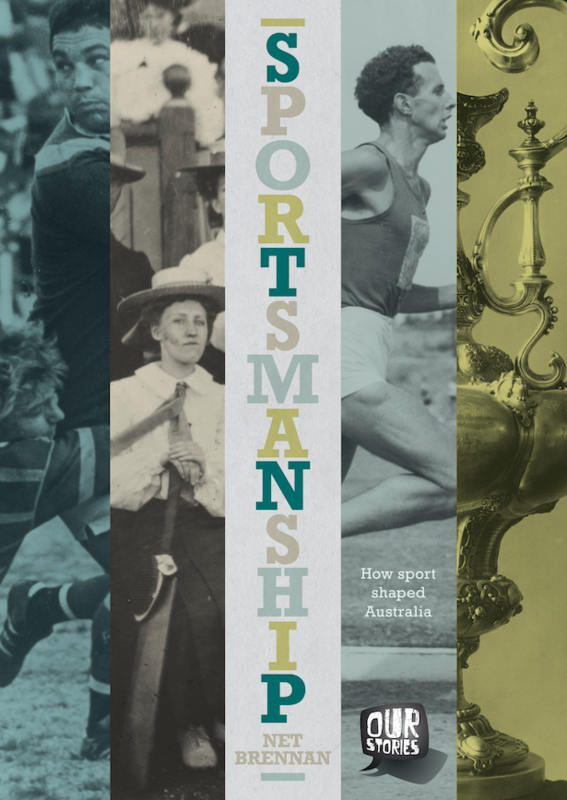 More recently she released Sportsmanship: How Sport Shaped Australia, which covers everything from The Ashes to Cathy Freeman. It is one of the Tasmanian Writers’ Centre’s recommended reads for October, and you can win a copy in this month’s competition. 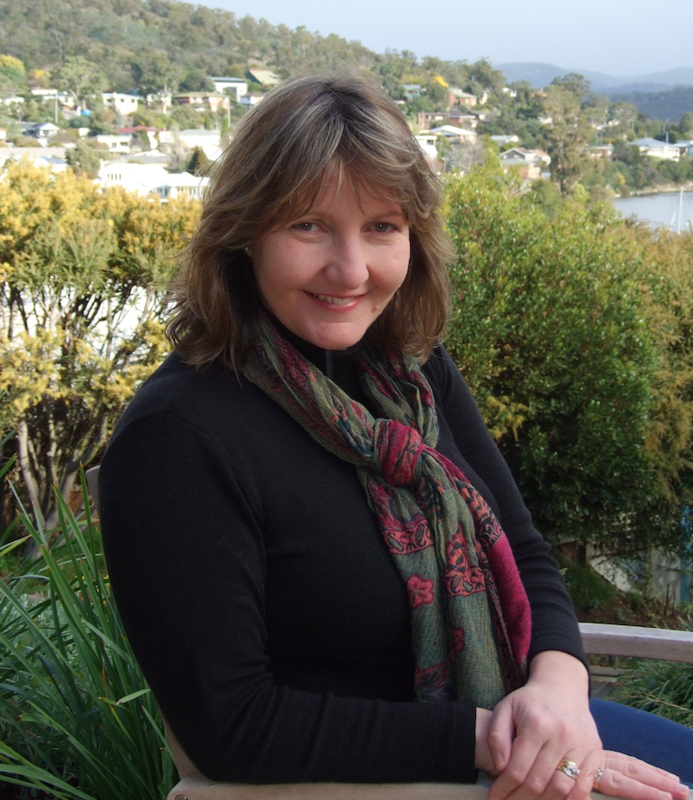 Net has also published a third book, called Child Convicts, and she is available to do classroom talks for primary school students on all three of her titles. We are very pleased that Net has taken the time to answer some questions for the TWC blog. Thanks Net! Can you tell us a bit about Sportsmanship, and what prompted you to write it? A year or so ago I published a book on Australian Federation and the critics loved it (phew!) but my friends kept telling me, as only friends can, that Federation is a boring topic. Not true! It’s hard to prove that a story is remarkable, however, if readers refuse to open the book. So my intention in Sportsmanship: How sport shaped Australia was to write a history book that was dressed in a sports uniform – similar to the way that parents might smuggle some vegies for their kids into a spaghetti bolognaise or a spring roll. My reasoning was that children may or may not say they are interested in Indigenous rights, for instance, but they might read a story about Nicky Winmar sticking it to the Collingwood fans. Similarly children may not know that Australia was the first nation in the world to give women both the right to vote and to stand for parliament, but they can appreciate a story about the banning of Australia’s first female Olympic champion because her woollen bathers were considered too brief. How do you find it transitioning between different kinds of writing – journalism, writing for kids – did you find that the two forms complement each other, or was it a challenge? They say that newspapers are written for an average reading age of seven, so the transition is pretty easy. My hope, whether I’m writing children’s books or features for magazines, is to retain the reader’s attention. I never take their interest for granted and I suspect that’s a lesson bred into all journos. If ever I get bored with what I’m writing, I know to cut it because the reader will also be bored. What are the most enjoyable about writing for children and young people? There’s nothing like standing in front of a hundred school children to test what stories are and aren’t interesting. It’s the best-ever form of editing. I’ve developed a range of talks for school that are based on the Australian curriculum. For the students, I want to ignite their passion for history; for the teachers, I want to take a large chunk of their class’s history curriculum and cover it within one hour. Tasmania is full of opportunities, which is the opposite of what we sometimes tell ourselves. There seems to be lots more going on in bigger cities but the frantic competition means these openings can feel out of reach. When I compare my youth in Sydney to the experiences my children have enjoyed in Tassie, it’s clear that they’ve had greater access to the most amazing people and organisations. The Tasmanian Writers’ Centre is a terrific example of this. So I think that Tasmania is a good place to be a writer because it’s a wonderful place in which to grow. Truly, there isn’t anything else that I’m good at. I always wanted to be a writer, although I don’t know if anyone would have predicted it for me. I had to take remedial reading classes in primary school and I didn’t blossom academically until my senior years of high school. Still, writing was the constant dream in my heart. It’s kind of nice how often dreams come true. Journalism and publishing are extremely competitive fields and everyone you meet will remind you of all the many, many, many reasons you won’t break into them. Just remember … nearly every other person in the world is chasing something different to what you want, and no-one else has your unique skills. I don’t think I’ve written a single word while not wearing baggy fleece pants. I live in them – even in summer. I yearn for casual. The opening pages of Les Carlyon’s The Great War stunned me with their heart-breaking perfection. It’s a gob-smacking introduction, I thought when reading them, later realising Carlyon would maintain this degree of poetry and humanity in every word of his 800-page masterpiece. I’m choking up just thinking about it. More recently I’ve become obsessed with books about explorers. It’s the resilience and vision of these individuals that interests me and I wonder why we sometimes overlook their stories in favour of the bushrangers who violently robbed them. That’s not to say I’m going to stop reading and writing about bushrangers. In recent months I’ve completed two more books on Australian history. The main thing I’m experimenting with at the moment is the potential of using different styles of writing to engage young readers. It’s one thing to be published but another to be read and enjoyed. Fingers crossed that you might hear more about these books soon.